Marketing With No Money Is It Possible? Marketing With No Money – Come On Mark Ford, I Have Tried This And It Takes Too Much Time – Is Marketing With No Money Possible Mark? Marketing with no money is entirely possible if you give it the time it needs to work and commit to the learning curve and accept it takes longer than paid marketing. As a prolific daily blogger that has been my experience. I’ve used many free marketing strategies with some success, mainly content marketing and blogging. When I first got started working from home on the internet, setting up multiple income streams, I had a number of challenges to get over. Now, either I just give up before starting or accept the challenges and find a solution. Me being me, I took on the challenges and looked for solutions. Okay, so I built a property portfolio and leveraged the mortgage market learning about ‘no money down’ principles and the mortgage products that were available. I learnt how you could buy a property to renovate with these mortgage products and mortgage your money back out when the property had been done up. This way you could partner up with people, where you had the time but no money and they had no time but had the money, to do joint ventures to acquire property. The drop in the UK property market in the latter part of the 2000’s put an end to this, but it was a good way to buy property at the time. No Marketing Knowledge – Well Find A Solution! My success is someone else’s success and to be able to help people and learn about marketing with no money and about paid marketing I needed to find an ‘all in’ internet marketing training centre. 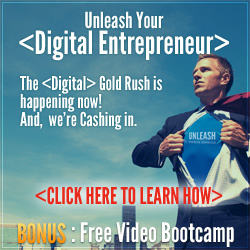 After a lot of trial and error I eventually settled upon the internet marketing solution that you can access today by getting a complimentary digital marketing video training series. 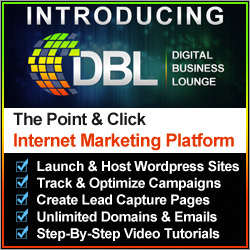 Click the internet marketing training banner below to learn more. Marketing With No Money – Well Find A Solution! Article marketing and more… in fact any creative free idea for marketing with no money that you can come up with, trial the idea and make it work for you. Many of us may start an online business feeling that “I will never get a consistent marketing budget to do paid marketing strategies to make this work, so with a low budget I can’t make it work” – is that a limiting belief? There are many ways to build a business at the outset with free marketing strategies and it will take time, as nothing is free. Free marketing costs time. Have you thought about buddying up and leveraging each others skill sets. If you have skills and can give time and others have money and less time, then is there a partnership opportunity there to build a business together and generate a marketing budget for your business? Food for thought! Marketing With No Money – Final Thoughts! 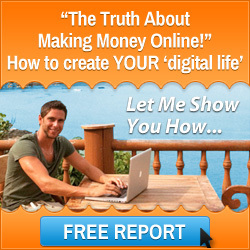 Many of us have to start a business marketing with no money. Don’t let that stop you building your dreams and achieving your goals. Life is there for the taking, go live it. Learn about how you can market your business with no budget and then acquire a marketing budget to do paid marketing to scale faster. The above gives you some tips but for an internet marketing solution that you can access today, and learn about free marketing strategies, click the internet marketing training banner below to learn more. P.S. 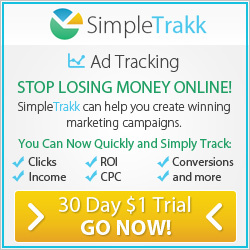 Read My 20k A Month Blog as well at this Marketing with no money link. This entry was posted in Internet Marketing Training and tagged home business coach, internet marketing training, marketing with no money, marketing with no money idea, marketing with no money ideas. Bookmark the permalink. You are so right here Mark. The first priority is to accept the challenge. 2nd not to give up no matter what. Third: Accept the world is your oyster and four to find then to trust people/ that person enough to work together with someone …….. harmoniously ! – this is made possible with a softening of contrasting trust perceptions… the belief factors of knowing / understanding where the other is heading [ their dream] – fifth: Reciprocation of values and working ethics. 6. The giving of quality and acceptance of quantification makes time a non factor as you become engaged with what is happening. Have waffled on – that is just me and my thoughts to this articles content. Thank you for your blog comments Susan and for adding value to the post through sharing the priorities as you see them. Anyone else agree?